It is through action and interaction within practices that mind, rationality and knowledge are constituted and social life is organized, reproduced and transformed. During the past two decades, practice theory has emerged as a potent challenger to prevalent ways of thinking about human life and sociality, which have until now focused either on individual minds and actions or social structures, systems and discourses. 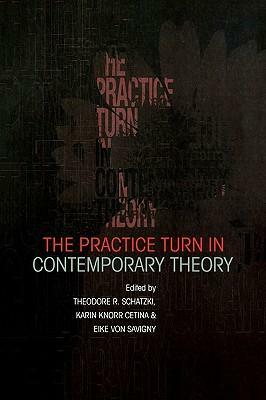 The Practice Turn in Contemporary Theory is the first volume to bring together philosophers, sociologists and scholars of science to explore the significance of practices in human life. The essays focus on three overall themes: the character and establishment of social order, the psychological basis of human activity and contemporary posthumanist challenges. Philosophers such as Wittgenstein and Heidegger who have been influential in the shaping of practice theory are also discussed. In examining these themes and thinkers the essays document how practice theory stands opposed to prominent modes of thought such as individualism, intellectualism, structuralism, systems theory, and many strains of humanism and poststructuralism. 7. What is tacit knowledge? should have been the bridge between neo-pragmatism/ANT and the later joining of the post-Wittgenstein enactivists and their phenomenological colleagues.